The problems linked to blood loss and blood-sparing techniques in spine surgery have been less studied than in other fields of orthopedics, such as joint-replacement procedures. Decreasing bleeding is not only important for keeping the patient’s hemodynamic equilibrium but also for allowing a better view of the surgical field. 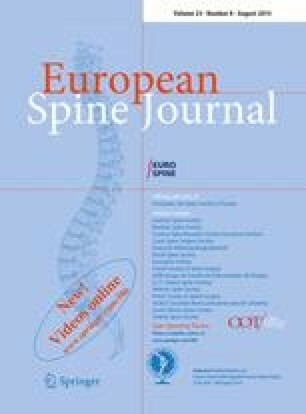 In spine surgery the latter aspect is especially important because of the vicinity of major and highly fragile neurologic structures. The techniques and agents used for hemostasis and blood sparing in spinal procedures are mostly similar to those used elsewhere in surgery. Their use is modulated by the specific aspects of spinal approach and its relation to the contents of the spinal canal. Blood-sparing techniques can be divided into two categories based on their goals: either they are aimed at decreasing the bleeding itself, or they are aimed at decreasing the need for homologous transfusion. Various hemodynamic techniques, as well as systemic and local drugs and agents, can be used separately or in combination, and their use in the field of spine surgery is reported. The level of evidence for the efficacy of many of those methods in surgery as a whole is limited, and there is a lack of evidence for most of them in spine surgery. However, several blood-saving procedures and drugs, as well as promising new agents, appear to be efficient, although their efficacy has yet to be assessed by proper randomized controlled trials.